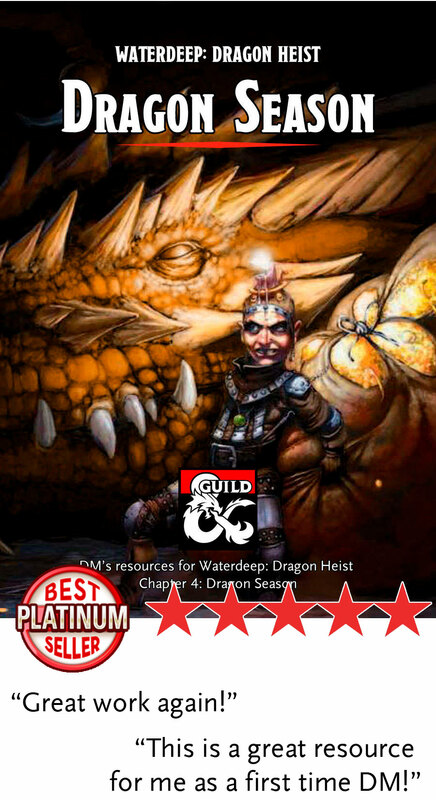 This bundle contains all published Valeur RPG DM's Resources for Waterdeep: Dragon Heist. Get all our critically acclaimed and best selling resources in a bundle and save at least 25%. 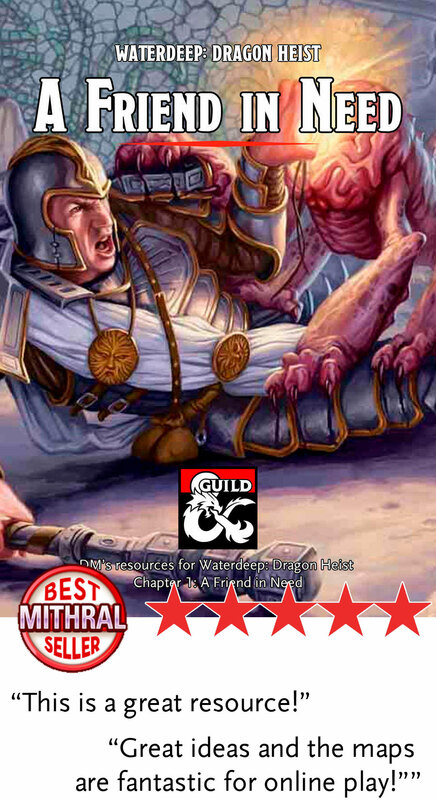 Shave time off your preparation and be inspired to create even more memorable game sessions with guides and DM's resources for the first four chapters, more than a dozen high quality maps, and several full fledged faction missions for the Gray Hands and the Zhentarim! 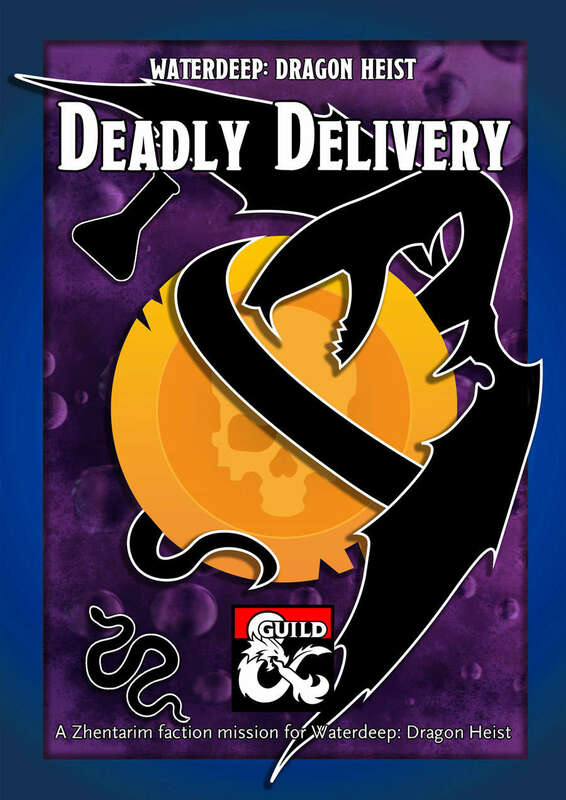 When you purchase this bundle at the current price, you also gain any future DM's resources or faction documents we make specifically for Waterdeep: Dragon Heist. 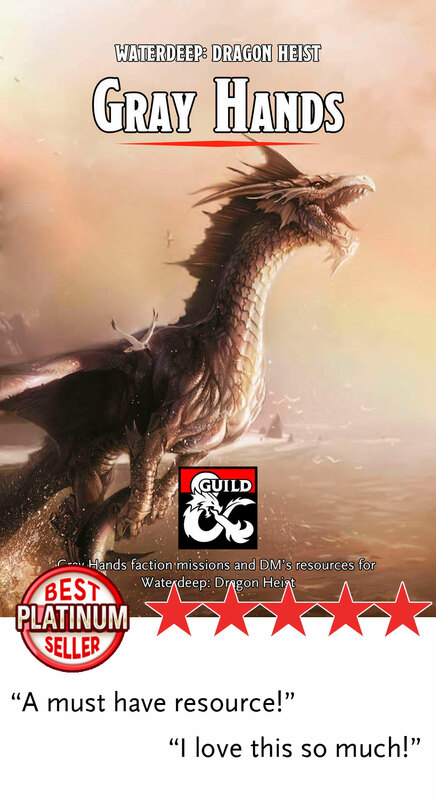 Additionally, each time this product reaches a new selling tier (copper, silver, electrum, gold, platinum, mithral, adamantine), we'll update the bundle with a new high quality map for Waterdeep: Dragon Heist! Below are answers to questions you might have. Why would I spend 15.95$ on additional content for a campaign book I've already purchased? That's a valid question. There's several ways to think about it. First, there's the hours of preparation time the products will help you save. If you save just one hour per session, you're probably paying less than a 1 dollar for each hour saved! Second, there's the amount of extra content you get – maps, encounters, quests – and the extra enjoyment and excitement that can bring to your D&D game. In the end, however, it's up to you. If you don't feel like buying everything at once, you can always just buy the individual products you think you'll get the most use out of. I've already purchased one or more of the products in this bundle – do I still have to pay full price for the bundle? We'd wish it was possible to discount the bundle, but right now DM's Guild doesn't support this feature. We know it's annoying, but hope you find the option that makes most sense for you - and thank you for supporting us! Is there any content in here that I wouldn't get if I bought each product individually? Nope – this bundle includes only the content in each of the products. If we update individual products, we'll also update the bundle. Thanks to your incredible support we've managed to become a Copper Best Seller in just two days! To celebrate we've made a reindition of the Courthouse map for Encounter 8 of Chapter 4: Dragon Season. We'll continue to update with more maps as we reach more achievements. Happy heisting! 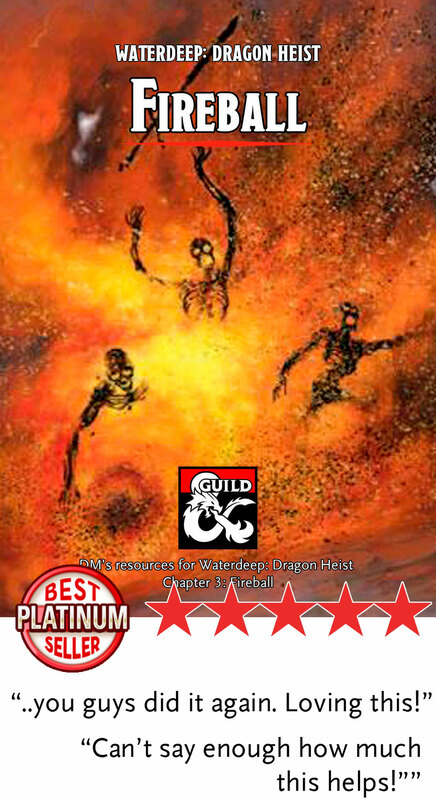 Reaching Silver Best Seller so fast caught us off guard, so we had to scramble to make a map ready. Here it is - the Alley map for Encounter 1 in Chapter 4: Dragon Season. Enjoy and thanks for the amazing support! A quick 20x20 Sewer Map for when you just need to run a quick encounter in the sewers, without too many shenanigans. Enjoy and thanks for your support! Are their versions of the maps that are included without keys? i.e. player versions without room numbers or secrets? This is a great add to the campaign. I just wish there was an easier way to organize the downloads into separate chapter files. When you go to your library it is all chaos and out of order. I have been loving these notes so far. Made it through the first module with my group and decided to purchase the whole pack after that. I am newish to DM and these notes help me remember key points so I don't forget and give me ways to keep the story going if my players aren't doing so themselves. My only nitpick is that the image files included are too big to be uploaded to roll20 since they allow background images to be 5mb max. I resolved it by using a free online compressor, but it would be nice for them to be included in the pack. Is there a way to be notified just when updates to this complete bundle come out? Is there a sort of ~sorting list~ for the files (by chapter/season)? It's hard to tell which goes with which by name alone. Of course I intend to read them all, but not sure I'll have time, and want to make sure I don't accidentally miss anything. Thanks for your support and I hope you like the products! Hey, I just purchased this and I too am having a heck of a time sorting through all the files. I can't seem to find the index file you mentioned in this comment. Any possibility you might consider doing VTT versions of each of the books for Fantasy Grounds? They look really interesting, but I use FG to run my campaign since my friends live far away. Thanks! Great work so far with all your Waterdeep resources. I am just curious if you are able to reveal any future plans for any possible other faction missions? 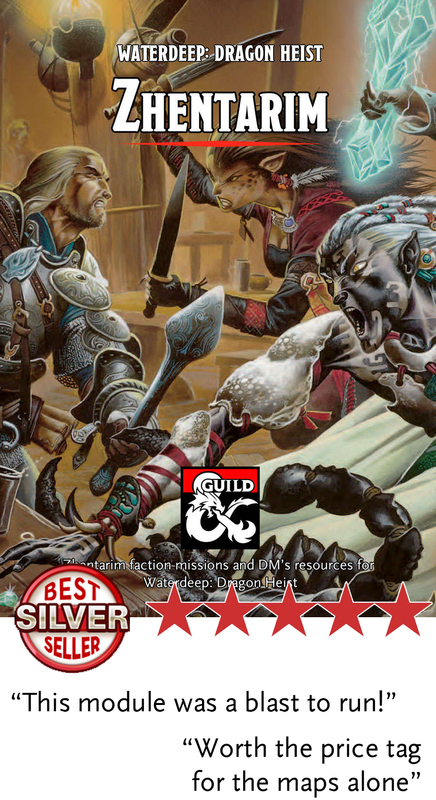 The Zhentarim and Gray Hands resources were excellent but now the others naturally feel flat and I don't want my party to feel like they've chosen a "bad" faction. I'll flesh them out myself if I have to but love what you've been doing. I fully agree with Mike! I would especially like to see some more with Bregan D'aerthe if possible. I already own all these individually but glad to see them in a bundle! 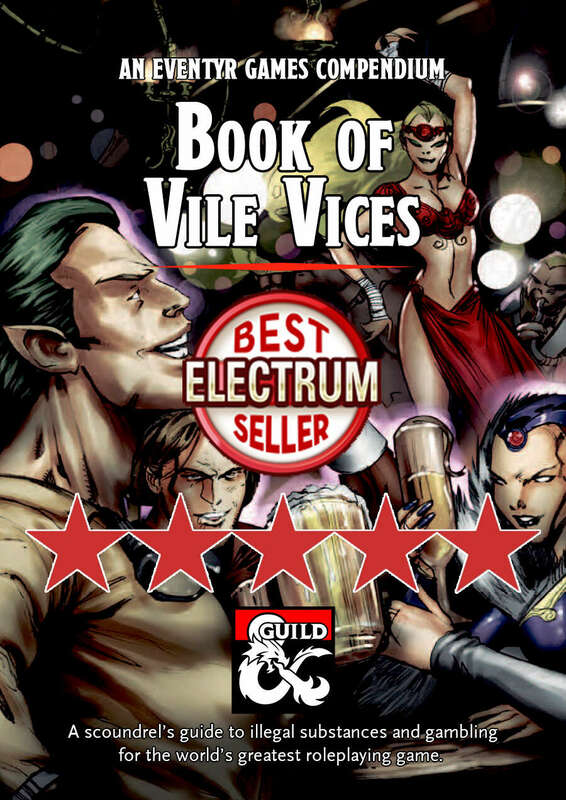 I had a question: Do you plan on making additional supplements for latter chapters/villain lairs?